Also Serving Tetterell, Dunstable, Ayer, Townsend, and Ashby, MA and Nashua, NH. Are you about to buy or sell a home? 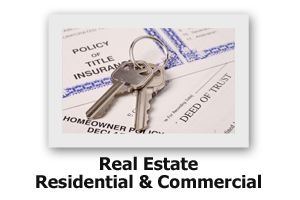 Are you about to buy or sell commercial property? Are you looking for a mortgage or to refinance? Are you about to buy or sell Real Estate? Then you may need help avoiding common hidden pitfalls such as failed septic systems, defects in title, deed restrictions, outstanding taxes and liens. Attorney Connie Sullivan has been representing buyers and sellers of single family homes and commercial real estate and assisting them with "Offers to Purchase" and "Purchase and Sale Agreements" since he began practicing in 1982. Attorney Sullivan is an experienced title examiner and title insurance agent. Don't be penny wise and pound foolish! Give Attorney Sullivan a call and ask how him to assist you with your next purchase or sale of real estate. Are looking for a mortgage? Ready to refinance for a better interest rate? Need a home equity loan for that long awaited renovation project? Attorney Sullivan can help you find a lender and close your loan quickly so that you don't lose your interest rate lock. Mention this website and receive a $50.00 discount off your next closing when Attorney Sullivan closes your loan!